James Rizza & Sons are a family owned business situated in Huntly, Aberdeenshire, producing quality ice cream products. Established in 1914 by Dominic and James Rizza, who were born in Belmonte di Castello, in the Frosinone region of Italy, the company celebrate their 100th Anniversary in 2014. We offer to you the opportunity to experience truly traditional Italian style throughout your day by serving your choice of ice creams and sorbets, bespoke wafers and sundries from our authentic ice cream cart. Designed to capture the features of our original ice cream bikes but with 21st century technology to meet the requirements of food safety and hygiene standards. We look forward to working with you to create flavours to compliment your day and to include those with special dietary needs i.e. Gluten Free, Suitable for Vegetarians etc. Bespoke ice cream wedding cakes add a truly unique Italian touch to be enjoyed by both young and old. 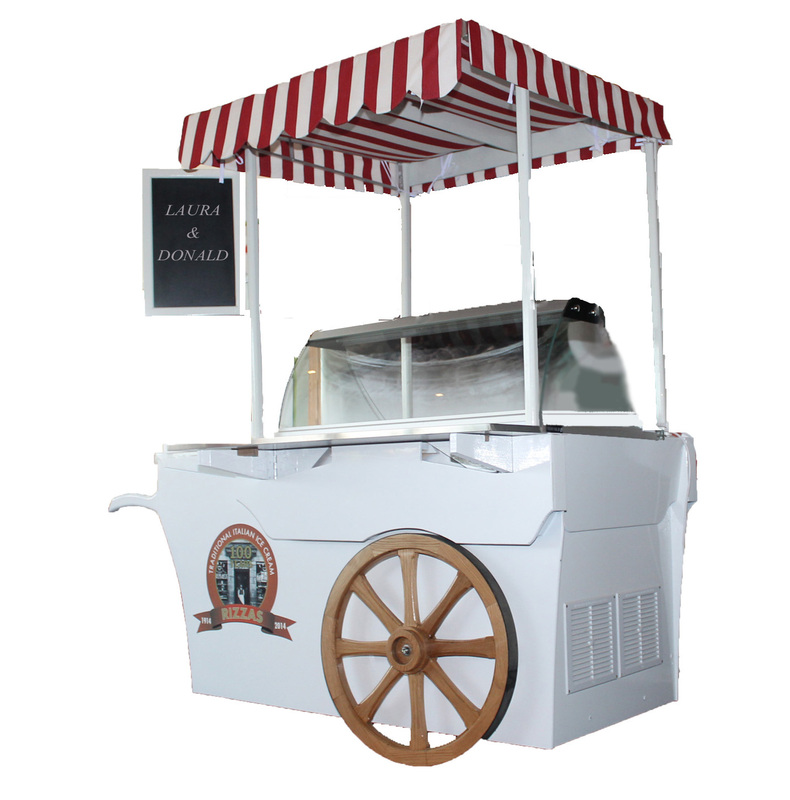 We are committed to delivering a personal service to ensure that your day is truly special and listening to your feedback during 2017, we will have another ice cream cart hand built to cater for your requirements. Contact our sales team to discuss your requirements 01466 792847.